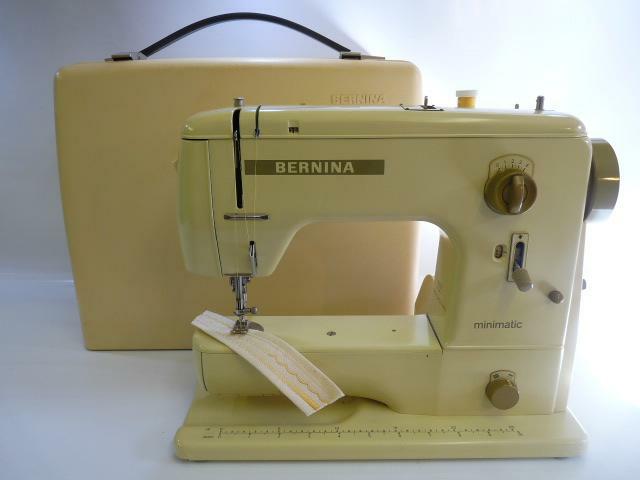 THIS BERNINA 707 IS ONE THE FINEST EXAMPLE OF THIS MODEL SEWING MACHINE I HAVE SEEN. ITS A FREE ARM, MADE IN SWITZERLAND, THE ROLLS ROYCE OF SEWING MACHINES. IN IMMACULATE CONDITION FOR ITS AGE, WITH ALL PAINTWORK IS NEAR PERFECT EXCEPT FOR A VERY FEW PIN MARKS, THE GREEN CARRYING BOX THAT IT ALL FITS INTO IS ALSO IN GOOD CONDITION. THIS MACHINE HAS BEEN A MUCH LOVED AND PRIZED POSSESSION. WHATEVER IT HAS BEEN USED FOR IT WAS LOOKED AFTER WITH GREAT CARE AND IS NOW IN GREAT CONDITION FOR SOMEONE ELSE TO CHERISH FOR MANY YEARS TO COME. I HAVE NO HESITATION IN SAYING IT WOULD GIVE A LIFETIME OF SERVICE AS IT HAS BEEN LOOKED AFTER. IT WOULD BE IDEAL AS PROPER WORKHORSE FOR A STUDENT PERHAPS OR SOMEONE WHO WANTS TO OWN AN ORIGINAL TOP OF THE RANGE MACHINE BUILT BEFORE THE TIME WHEN CRUCIAL COMPONENTS WERE STARTING TO BE REPLACED WITH CHEAPER PLASTIC ONES THIS IS A MACHINE WHICH HANDLES MULTIPLE LAYERS OF DENIM AS WELL AS DELICATE LACE AND STRETCH FABRICS WITH EASE. THIS MACHINE HAS BEEN LOVINGLY RESTORED AND SERVICED BY MY SELF A BERNINA-TRAINED MECHANIC; COMES WITH BOOK AND ACCESSORIES, FOOT CONTROL, BOOK, AND COMES WITH AN ELECTRICAL SAFETY CHECK.